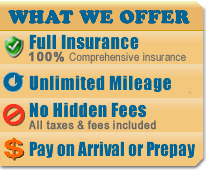 Is Universal Rent a Car affiliated with Universal Rent a Car of Canada ? Universal Rent a Car.com is a car rental company that is based in Crete Greece. We have been in this business for almost 30 years and have built our success and reputation on customer satisfaction. There exists no affiliation, partnership, franchise, joint venture, or other type of business relationship between Universal Rent a Car.com and Universal Rent a Car of Canada. Just follow the easy steps on the "Book a Car" page. Choose your country, region, location, date and time and you will immediately see the cars that are available for the period you have requested. You will also find the cost for the whole period for all available cars on the same page. On the next page you will be able to select additional options such as equipment, insurance and services. Next you will see the order confirmation page where you will be asked to accept our terms and conditions and provide necessary personal information relevant to your booking. A small reservation fee (3 euro) plus a down payment is required to complete your booking. When your payment is approved you will get an e-mail confirming receipt of your order. As soon as our car rental partner has confirmed your booking the down-payment will be captured and the final confirmation/voucher will be sent by e-mail. Make sure that the e-mail address you enter is correct and that the amount for the down-payment is available on your account. Normally you will receive the voucher in 1-3 days. You can call us and BOOK BY PHONE. Please have your credit card ready as you will need the credit card number, expiration date and security code (usually located on the back of the card) to book a vehicle. How do I pay for my car reservation? You can pay with most common credit cards like Visa and Mastercard. A small non-refundable reservation fee of 3 euros applies to all online reservations. When your booking has been confirmed a down payment will be deducted from your account. Please make sure that the amount for the down payment is available on your account. The outstanding remaining balance must be paid in full with a credit card, or cash upon delivery of the rental vehicle. The credit card used to pay remaining balance must be in the name of the driver. Cash payments are normally accepted. As Universal-Rent-a-Car.com is located in a European Community country the reservation fee and the down payment will be made in Euro currency. The payment of the balance and anything purchased locally will be in the currency of the country where you rent the car. You can select your preferred currency on our web site page but please note that the rates shown are exchange rates of the actual day when the reservation is made and small discrepancies may occur.Most car rental companies require also a credit card guarantee for the rental. The most common amount is 100-500 euros. Higher amount may be applied. Do I have to pay a deposit when reserving a rental car? When booking a rental car online we require that you submit a small down payment. We do this for your own protection and benefit. Paying a deposit guarantees that a rental vehicle will be available at the location and time requested. Some car rental companies do not require a down payment at the time of reservation but at the same time they do not guarantee that they will have your vehicle available at the place and time that you requested. In other words, when you pay a car rental deposit we are legally obligated to make sure that a rental vehicle will be available for you at the time and location specified on your voucher. Can I reserve my car now and pay when I arrive? You can book your car without submitting an online payment. Simply choose the pay-on-arrival option when you book your car. Please note that this option is available on select destinations only. Do you charge by the kilometer? No! You get unlimited mileage with every rental! FCDW or Full Collision Damage Waiver which covers damages caused to the rented cars, glass, fire, tyres and engine damages. In the unfortunate event of an accident the nearest police station must be informed and an accident report obtained (also please let us know immediately). Without this report the renter is responsible for the full amount of the repairs. With this report the renter responsibility is eliminated. No unauthorized repairs should be made. For negligent or drunk driving, driving under influence of drugs or on unauthorized roads, driving to prohibited areas/countries, obvious acts of disregards to the vehicle, the renter will be responsible for the full amount of charges. What's a deductible or "excess"? Deductible/excess is the amount for which the renter is responsible in the case of damage(s) to the rental vehicle caused by the renter. Will I be charged extra for taxes? All Local taxes and VAT are included in most locations; please see conditions for each location. What's covered by third party insurance? Third party bodily injuries per accident up to 500.000 Euro. Third party property damages per accident(excluding rendet car) up to 100.000 Euro. In many countries the third party insurance also covers passengers (in the rented car) except driver. Please see "Local Terms and Conditions" for more information. What does Theft Insurance cover? This type of insurance covers against theft of the vehicle but not the luggage or other valuable personal items inside the vehicle. PAI is Personal Accident Insurance. It is available in most locations and it covers the driver of the rented car for injuries up to a limited amount. As most travel insurance already provides this type of protection it may not be necessary for some clients. Please check with your travel insurance agent for specifics on this type of coverage. WUG is extra optional insurance for damage to the Wheels / Underside and Glass of the rental vehicle. WUG is not available in all destinations. WUG insurance cost will be displayed during the booking process as will other available options in your chosen destination. For more information about available insurances please look for the "Local Terms and Conditions" link at your selected destination. We will make every effort to reserve a specific type of vehicle requested, but we are unable to guarantee a particular make, model or fuel of car. Reservations can only be confirmed according to vehicle categories and not according to car model. The vehicles shown during the booking process serve as typical examples for the size and performance of a vehicle category. The local car rental partner at your destination reserves the right of procuring a vehicle of a higher category whenever the booked vehicle category is not available. Can I get my car after normal business hours? In most locations cars can be supplied outside normal working hours. There may be an additional charge for this service which you will see during the booking process. How will I get my car? You will find detailed information about how to get your car with the voucher. Car rental company counter at airport. A representative who will meet you at the airport -normally carrying a sign with your name on it- and give you directions or bring you to your vehicle at the airport/port etc. A shuttle bus will bring you to the nearest rental station where you can pick up your car. If you have selected to pick up your car at a hotel, your car will be delivered there or a shuttle bus will bring you to the nearest rental station. Collection at the airport or local office. Is there a minimum age requirement when renting a car? In most countries the minimum age of the driver is 23 years old. Higher vehicle categories may require that the driver be over 23 years of age. In some countries paying an additional fee may reduce the minimum age. Detailed information will be found under the "Local Terms and Conditions". All drivers must produce a full driving license which must have been held for at least one year prior to the rental pickup date. In certain locations and for some car types, drivers must have held a full license for a minimum of 5 years. Detailed information and restrictions can be found under "Local Terms and Conditions". If you have to change your booking you must do so through the customer log in page at: https://www.universal-rent-a-car.com/newsite2/help/userlogin.asp. First, enter your e-mail address as your user ID and the booking reference number (Order ID) as your password. Then, you will see your booking details. In the comments field you can enter the changes you want to make to your booking. After you submit your request you will receive an amendment confirmation number from Universal-rent-a-car. If your amendment results in a price difference you will have to make a new booking and then cancel the original booking. The down-payment will be refunded if we receive the amendment a minimum of 7 days prior to the pickup date. For later amendments an amendment fee of a maximum of 50 euros will be held. Should you wish to cancel your booking you also have to go through the customer log in page (https://www.universal-rent-a-car.com/newsite2/help/userlogin.asp). The procedure is the same as for amendments. For cancellations that are received 7 days (168 hours) or more prior to arrival there will be no charge and your down payment will be refunded. If your cancellation is received less than 7 days (168 hours) prior to arrival your down payment- with a maximum of 50 euro- will be kept by Universal-rent-a-car.com to compensate the car rental partner for processing costs. Please note that the reservation fee (3 euros) is not refundable. Cancellations/ Amendments after the start of the rental period will be handled locally by the car rental partner at your destination. Universal-rent-a-car.com is not responsible for any additional charges that may result. No refunds will be issued for no-shows, for failure to produce required or requested documents such as driving license, for early returns, or for cancellations after the hire start date. Normally there are no refunds for any unused rental days, but it is up to the local car rental company to decide if any refund can be issued. Universal-Rent-a-Car.com does not charge for the first additional driver. There is a charge for the second additional driver. All additional drivers must meet ALL rental qualifications in regards to age plus all other standard rental qualifications. Any additional drivers must appear at the rental counter with the primary renter and must present a valid driver""s license as well as sign the rental agreement. What does you price include? Throughout the steps in your booking you will see the price of the car rental as well as cost for any extras that might apply. The rental period is calculated on a 24-hour basis. You can return the car up to 1 hour later than you picked it up without being charged for an additional day. After that you will be charged for an additional day. For detailed information, please check the terms and conditions for your destination. How can I pick up my rental car? Our car rental provider will wait for you at the airport desk, at the port, in our office or in the reception area of your hotel depending on the selection you made during the booking process. Delivery of the rental vehicle can be at the airport desk, with a representative from the car rental company waiting for you with your name/car rental company name on a picket sign, or with shuttle service to the nearest car rental station. When picking up your car at a hotel, the car will be delivered there or shuttle service will bring you to the nearest rental station. A charge for car delivery and/or return may apply and you will be informed of such charges at the time of booking if applicable. Should you have any trouble finding the car rental representative, please call the telephone number(s) on the voucher under "Car rental company contact/delivery information". Many car rental companies use "Shuttle Service" to take you to the rental station. You can find detailed information about how and/or where to pick up your car on your confirmation/voucher. Yes. In most locations one way rentals are available. When booking a vehicle online all available return locations will be shown after selecting your pickup location. What is a CID (Card Identification Number)? The Card Identification Number (CID, CVC2, or CVV2 ) is an added security feature to help protect you against online fraud. 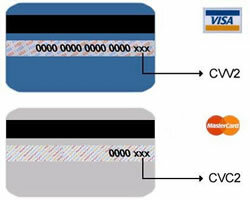 It is a 3- or 4-digit number that appears on your credit or debit card, next to your regular card number. Because the Card Identification Number is non-embossed and therefore not printed on receipts, it helps ensure that someone cannot use your credit card information without having the card in hand. Where will I find my CID? Master Card: The Card Identification Number (CID) is a 3-digit, non-embossed number printed on the signature panel on the back of the card. VISA: The Card Identification Number (CID) is a 3-digit, non-embossed number printed on the signature panel on the back of the card immediately following the VISA card account number. If I return the car half an hour late will I be charged an extra day? Rental days are calculated on a 24 hour basis. However most of our partners will allow you to return the vehicle up to an hour late without an additional charge. An additional day will be charged thereafter.